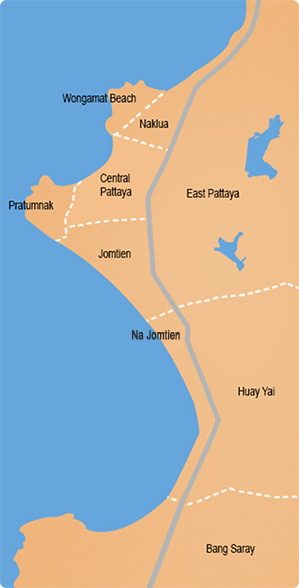 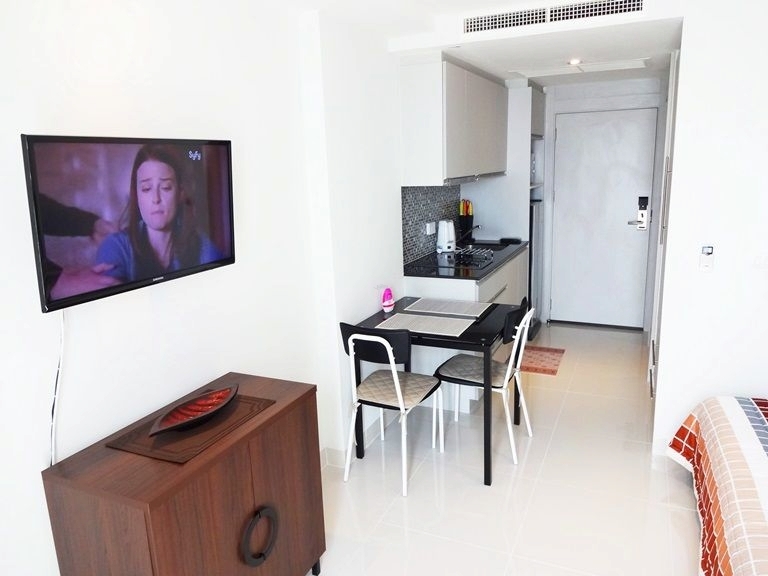 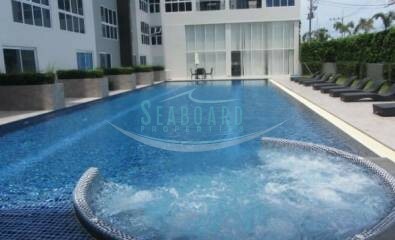 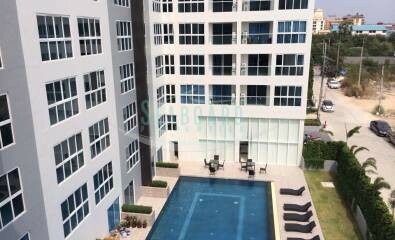 A recently completed, modern low rise condominium development located in South Pattaya, just off Pattaya 3rd Road with easy access to downtown, convenient stores, restaurants, etc. 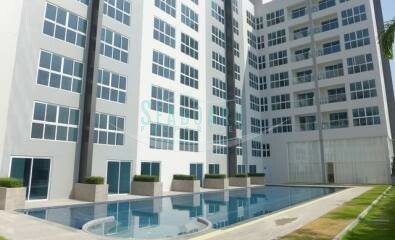 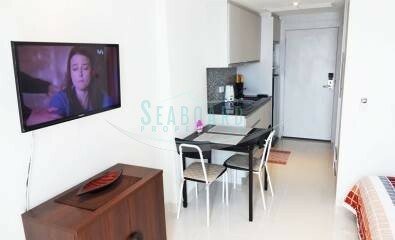 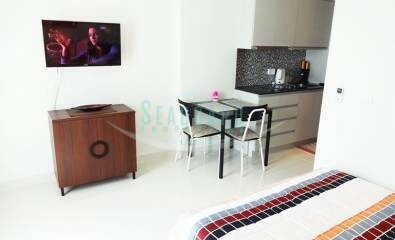 This studio apartment is located on the 7th floor and offered for sale fully furnished. 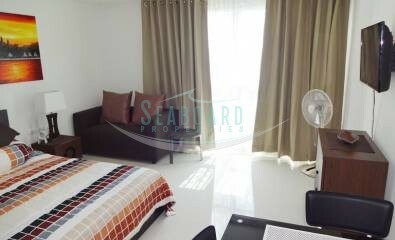 The studio features good quality furnishings, fitted European kitchen, LED TV, air conditioning and a bathroom with rain shower. 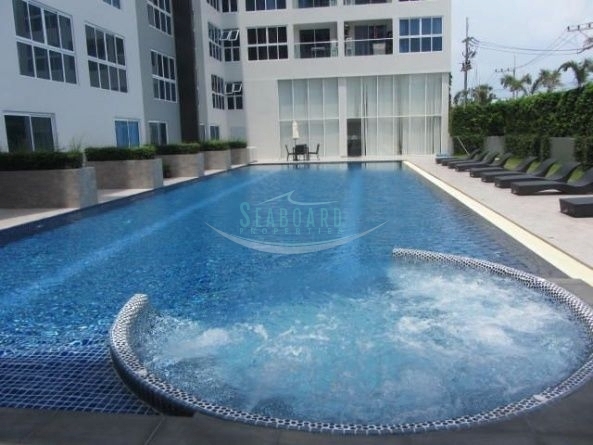 The building has 24 hour security, CCTV, Communal swimming pool, Fitness, Sauna, small garden on the ground floor, underground parking and cleaning service. 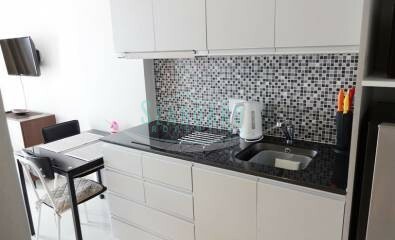 For sale with title deed in Foreign name, taxes and transfer fees split 50/50 between both parties.